ArcGIS 10.4 introduces many new tools for visualizing, analyzing, and effectively communicating in both 3D and 2D. ArcGIS for Desktop, ArcGIS for Server Enterprise (both Windows and Linux) and ArcGIS for Server Workgroup (all of which come with Portal for ArcGIS), ArcGIS Engine Developer Kit, and ArcGIS Engine are included in the ArcGIS 10.4 release. 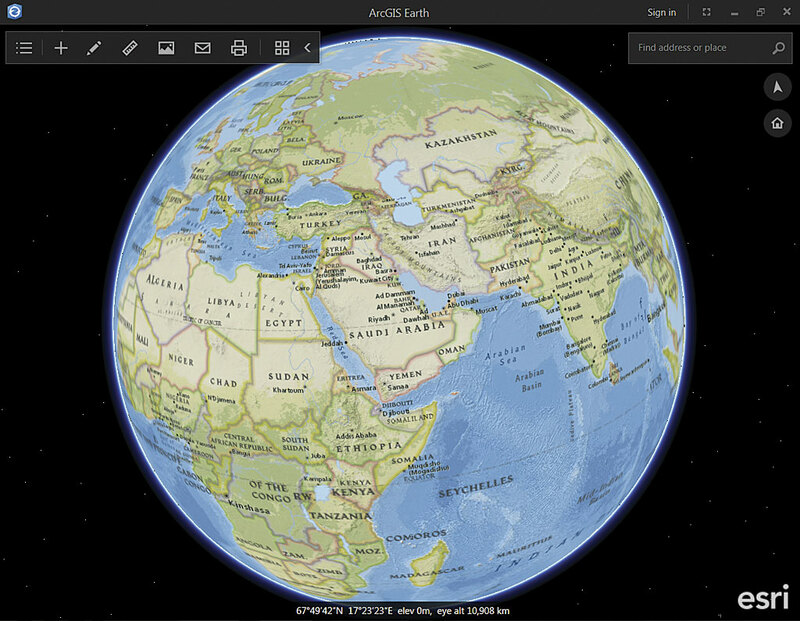 ArcGIS Earth, a new app for visualizing 2D and 3D data on a globe, can be used with Portal for ArcGIS or ArcGIS Online data. This release enables sharing of 2D and 3D information in standard, scalable formats that can be used in maps and scenes on multiple clients. Global scenes, local scenes, and ArcGIS Earth are all new ways to look at 3D data that is available at 10.4. Global scenes display 3D content in a global coordinate system, World Geodetic System 1984 (WGS-84). This coordinate system is well suited for data that encompasses a large extent and must account for the curvature of the earth. Conversely, local scenes, available in the scene viewer, are suited to data with a limited extent, such as a college campus. Local scenes can display layers in a projected coordinate system and can be very effective for scientific and underground data display, where the relative size of features is a more important consideration than the physical location of the data on a spheroid. ArcGIS Earth, a new app for visualizing 2D and 3D data on a globe, can be used with publicly shared elevation, imagery, and Living Atlas of the World data available from ArcGIS Online as well as with street and other nonimagery basemaps. Behind a firewall, users can view custom basemaps and services in ArcGIS Earth, which also includes the same KML capability available with ArcGIS Runtime. ArcGIS Earth allows users to access other open standard data types, such as the Esri Indexed 3D Scene (I3S) format for scalable 3D web scenes and scene layers that allow serving 3D data in an accessible, common format. Currently, ArcGIS Earth runs on Windows desktop machines, but it will be available for other platforms in the future. Quick downloading vector tile maps look great on high-resolution displays and can be customized by users. Now 3D point layers can be shared as scene layers in Portal 10.4 for ArcGIS, which improves visualization and performance for large point datasets including preset symbols. 3D point layers can be shared as individual web scene layers or as part of a web scene and can be consumed back into ArcGIS Pro or in the scene viewer. At 10.4, content creators can style and publish attribute-based symbology for 3D object layers using ArcGIS Pro. This same capability will be available in other styling and authoring applications later this year. Vector tile maps download quickly, are easy to style and update, and look great on high-resolution displays. Users can customize the look and feel of vector tile maps and layers by simply editing the style of a tile layer. In November 2015, initial support for vector tiles was introduced for ArcGIS Online. A set of vector basemaps, available as both layers and web maps, was made available through the Esri Vector Basemaps (beta) group and could be displayed in the map viewer. Commonly used spatial analysis tools, such as GeoEnrichment, are available in Portal for ArcGIS and ArcGIS Online. 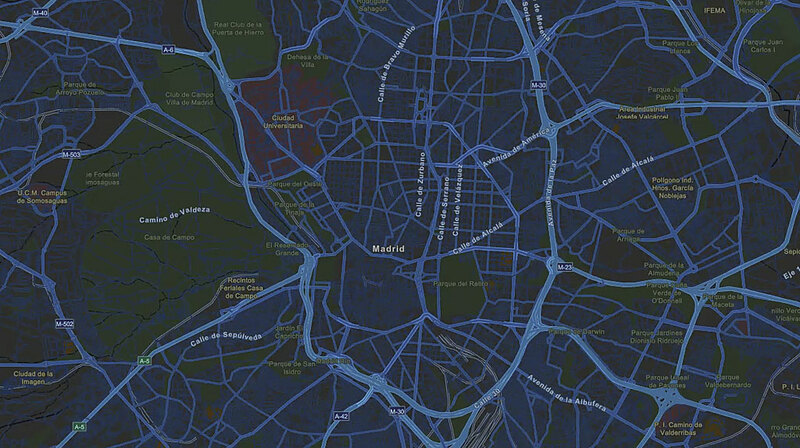 Later this year, more desktop and mobile apps will use vector tile maps. Zip up and share basemaps and operational layers all in one package in a new format that supports high compression if the content is delivered as read-only layers. Operational layers can be queried and analyzed in the map viewer and used in specialized apps such as Navigator for ArcGIS. ArcGIS Pro 1.2 users can create and publish mobile map packages to Portal for ArcGIS and ArcGIS Online. Later in 2016, mobile map packages will be supported in additional apps. 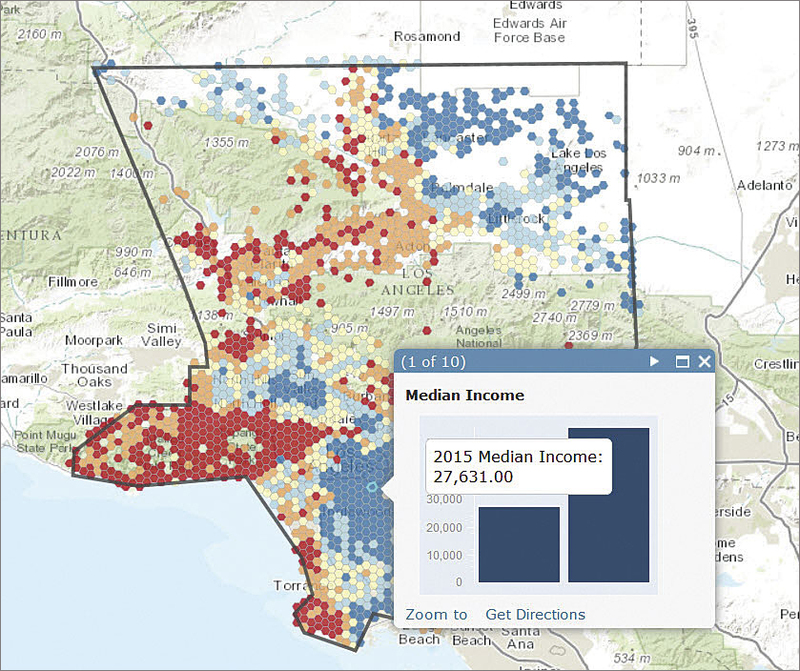 The suite of commonly used spatial analysis tools added to ArcGIS Online more than a year ago to provide powerful yet easy-to-use spatial analytics capabilities are now available in Portal for ArcGIS. Portal for ArcGIS members can access the Analysis tools via Perform Analysis from supported map layers. The tools are arranged in logical groupings—Data Enrichment, Analyze Patterns, and Use Proximity—that help users locate specific capabilities. Users can perform analytical functions such as finding hot spots, locating streets and addresses, finding a place, or routing. Taking care of these capabilities will require setting up a web GIS implementation (i.e., Portal for ArcGIS, ArcGIS for Server, and ArcGIS Data Store). Imagery classification, processing, and management are all enhanced in ArcGIS 10.4. ArcGIS now supports a wider range of sensors including Sentinel-2, SPOT-7, WorldView-3, and a variety of Chinese sensors. Two new formats, Meta Raster Format (MRF) and Cloud Raster Format (CRF), will be of special interest to users who work with massive volumes of imagery. MRF is optimized for storing collections of imagery and rasters in inexpensive cloud storage platforms. It enables fast image access, reduces the cost of storage, and is designed to scale using MRF on Amazon Elastic Compute Cloud (EC2). A base implementation of CRF is included in ArcGIS 10.4. CRF allows parallel processing of rasters on multiple machines and will be a key part of new raster analytics capabilities coming later in 2016. 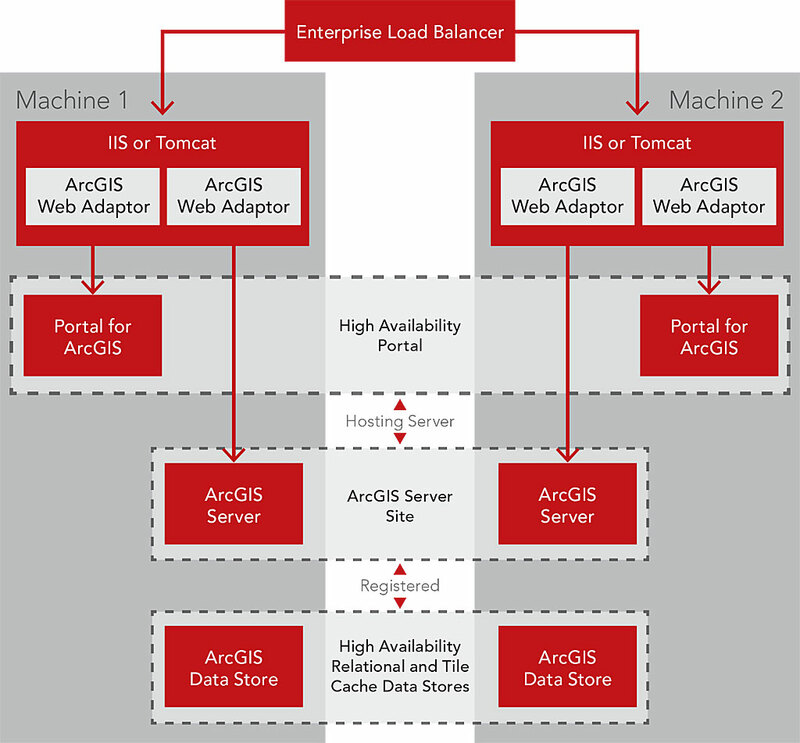 At ArcGIS 10.4, ArcGIS for Server has a high availability architecture. At ArcGIS 10.4, ArcGIS for Server includes new tools and capabilities that maintain performance, minimize downtime, enable quick recovery, and protect against accidental or ad hoc changes. ArcGIS for Server includes a new, simplified high availability (HA) configuration that makes it much easier to achieve continuous operations and maintain performance during periods of peak load. By default, ArcGIS Server sites support multiple GIS servers working with a load balancer, either ArcGIS Web Adaptor (included with ArcGIS for Server) or a third-party load balancer. The new high-availability experience will mitigate single points of failure, minimize downtimes, and give administrators the ability to detect site failures. The Portal Admin API can be used to show machines participating in the high-availability configuration and perform health checks. A new tool available in the Portal for ArcGIS tools directory exports a single file containing portal items and settings, including group information, hosted web layers, and federated and hosting server settings. The file also includes the Configuration store and the ArcGIS Data Store, with hosted feature layer data (a relational data store) and hosted scene layer tile caches (a tile cache data store). Users can store the exported file in a separate machine (recommended) so it can be used to restore the ArcGIS Server site or web GIS deployment, or replicate the implementation to a standby deployment that can be brought online if the primary deployment fails. The option to set an ArcGIS Server site to read-only mode can be used to protect production sites from inadvertent or ad hoc changes to layers and services that might impact the applications and data. Read-only mode disables the publishing of new services and blocks most administrative operations. The site can still be scaled by adding or removing machines, and the functionality of existing services continues to be available. Read-only mode is useful for managing software upgrades and enhances the server’s ability to continue functioning if it fails to connect to the underlying configuration information for multimachine sites. New and updated installations of ArcGIS for Server will default to single cluster mode, which reduces network traffic between machines at the site, reduces the network load, and improves the resiliency and monitoring of GIS server sites. Single cluster mode does not include load balancing between machines in the cluster. Users who are already using single cluster mode and sites with multiple clusters at earlier releases will have their settings preserved when upgrading. ArcGIS Data Store is an application that sets up two different types of data stores: one that stores hosted feature layer data (a relational data store) and the other that stores caches for scene layers (a tile cache data store). These data stores enable fast data access to Portal for ArcGIS applications (including map and scene viewers), ArcGIS Pro, and web clients. ArcGIS 10.4 introduces a new data store, Spatiotemporal Big Data Store. In its initial release, this data store supports archiving of high-volume, real-time observation data using the ArcGIS GeoEvent Extension for Server. In upcoming releases, Spatiotemporal Big Data Store will play a key role in also supporting new capabilities for performing scalable and distributed batch analysis on feature and tabular data as well as raster analysis and image processing. Spatiotemporal Big Data Store significantly increases performance and reduces analytical processing time by allowing the processes to be split over a large number of machines and collating the results. 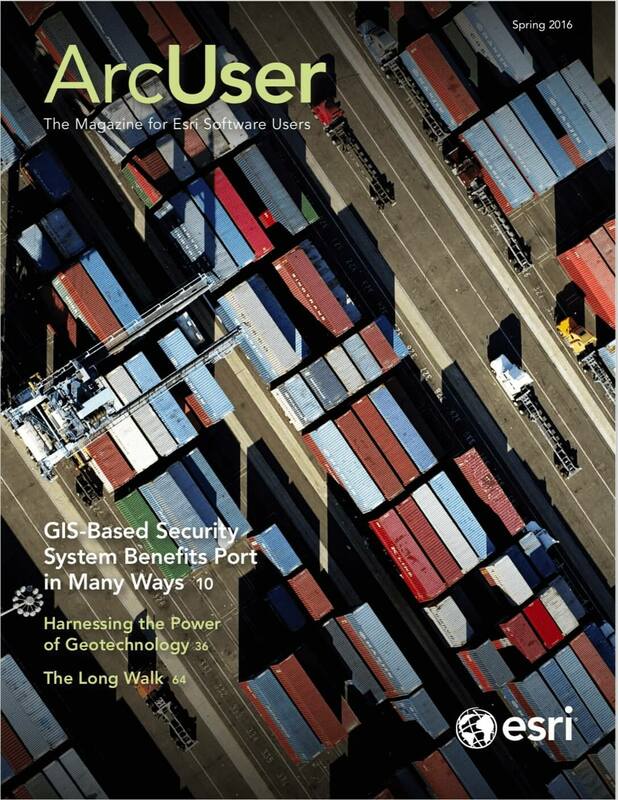 Several new apps are available with ArcGIS 10.4. AppStudio for ArcGIS is a groundbreaking tool that lets users convert their maps into beautiful, consumer-friendly mobile apps and publish them using their own brand to all popular app stores without requiring developer skills. Basic and Standard versions of AppStudio have no-coding app templates for Android, iOS, Windows, OS X, and Linux that can be used to create apps that can be published to Apple and Google Play app stores. With AppStudio Standard, developers can extend and customize apps and distribute them within the enterprise. AppStudio currently works only with ArcGIS Online. Survey123 for ArcGIS is a simple and intuitive form-centric data gathering solution that runs on iOS and Android devices and the Windows Phone. At 10.4, Portal for ArcGIS supports enterprise logins with Survey123 using OAuth (currently in beta). 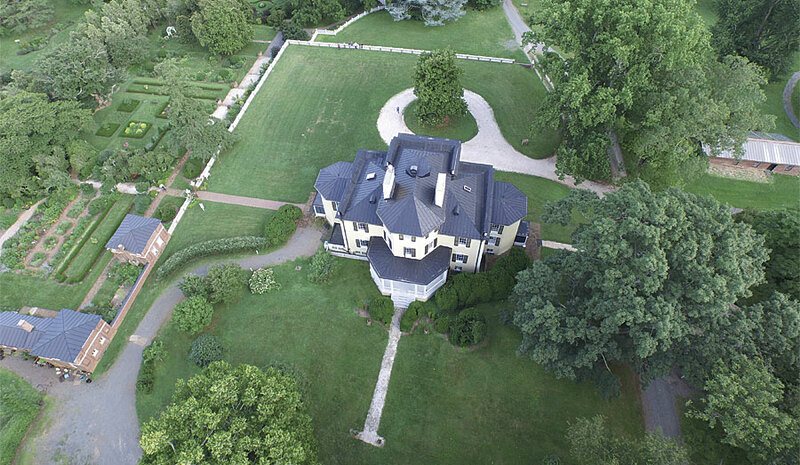 Drone2Map for ArcGIS, currently in beta, will let users create orthomosaics, 3D meshes, point clouds, and other professional imagery products in minutes, not days. The Workforce for ArcGIS mobile app for Android and iOS devices, currently in beta, helps users better coordinate teams in the field by reducing their reliance on paper and ensuring that all team members use the same authoritative data. This reduces errors, boosts productivity, and saves money. Back-office staff use the Workforce app in the web browser to assign work, monitor progress, and see where workers are in real time. Fieldworkers use the Workforce mobile app to receive assignments and status updates. Workforce for ArcGIS currently works with ArcGIS Online. Later in 2016, it will be integrated with Portal for ArcGIS. Drone2Map for ArcGIS, currently in beta, enables users to turn drones into enterprise GIS productivity tools. Users can create orthomosaics, 3D meshes, point clouds, and other professional imagery products in minutes, not days, and can then share them in ArcGIS for further analysis and visualization. For more details on the latest ArcGIS Online release, visit links.esri.com/agolhelp/whatsnew.